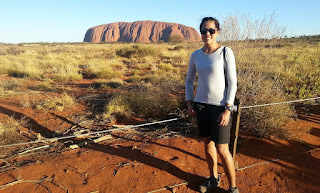 I was visiting Dr. Seher Ata in February/March this year in the University of New South Wales Engineering, Sydney and we are cooperating on a project dealing with particle stabilized bubbles. At the same time Alan Buckley was visiting and he is working with Seher on the influence of recycled process water on coal. Alan is Honorary Professor in the Facility of Science at UNSW and lives near the Macquarie University. Below is a photo of Seher, me and Alan having coffee. We are preparing an article on bubble break-up and Jim Finch, of McGill University, Canada and Graeme Jameson from University of Newcastle, Australia will also be co-authors. Seher would like to add that the school of mineral processing (where she is now a senior lecture) has made an important contribution in the area of coal processing. Seher took over from Associate Prof Tony Parsonage about 3 years ago. I found it interesting to see that Seher Ata has also created for her courses a virtual reality module offering her students a fully interactive and immersive journey through the mysterious world of mineral processing. This is a great innovation and could be a really credible alternative to the traditional field trip, which can be a real pain these days with its interminable safety inductions. I well remember my dismal visit to Palabora Copper Mine during the SAIMM Base Metals Conference in 2011, which was beset by three hours of security, and health and safety inductions, which left little time to visit the operations. I had previously visited Palabora in 1978, when I drove straight into the mine complex. So I look forward to hearing more from Seher as this project develops. Danish company Cheminova, who is sponsoring MEI's flotation series for the 4th time, was established in Copenhagen by Gunnar Andreasen, a chemical engineer, in 1938. The company has grown to become an important manufacturer of plant protection chemicals, chemical intermediates, and flotation chemicals. In 1953 Cheminova moved its manufacturing plant to its present western Jutland location on the Rønland peninsula between the North Sea and the Liim Fiord. Because elemental phosphorus and sulphur raw materials are delivered directly to the plant, Cheminova’s manufacturing is completely vertically integrated and provides Cheminova considerable infrastructural advantages, which have been an important factor in its growth. Additionally the location allows it to effectively manage costs, final product quality and responsiveness to customers. Cheminova has become a well-established leader in the production of organophosphate reagents and chemicals, the flotation chemical product line being a very important product line extension to its agricultural chemicals because the dithiophosphate phosphorus-sulphur chemistries are quite complementary to the agriculture chemicals, which are also phosphorus and sulphur based. A wide range of flotation dithiophosphate reagents are produced in acid and aqueous solution forms, the latter using sodium, potassium or ammonium hydroxide for neutralization. To ensure that the products provide the best possible mineral processing circuit performance, Cheminova has developed dithiophosphate mixtures and mixtures of dithiophosphates with mercaptobenzothiazole and thionocarbamates that have been tailored for the rigorous needs of the mining industry. In order to provide a full complement of flotation reagent products, Cheminova also supplies some frothers. A reminder that if you would like to present a paper at Flotation '17 in Cape Town in November, short abstracts should be submitted by the end of this month. 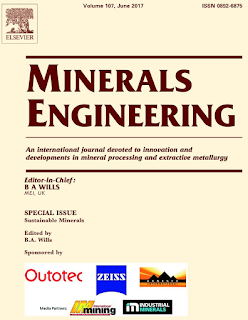 This is a great opportunity to meet all the leading players in the flotation field, and also to have your paper considered for a special flotation issue of Minerals Engineering. As always the conference will have an associated exhibition, and the dinner this year will be held at the Lagoon Beach Hotel, with its classic view of Table Mountain. More information can be found on the posting of 10th April. Due to other commitments last night was my first Cornwall Mining Sundowner since January. Our normal summer haunt, Falmouth's Chain Locker is currently undergoing extensive renovation, so for the foreseeable future the sundowner venue will be shunted around west Cornwall. Last night's meeting was in the north Cornwall village of Portreath, in the Portreath Arms Hotel, with a busy bar which just about managed to accommodate the 20+ regular sundowners, and a few new faces. The mineral processing contingent was made up of myself, and my old CSM colleague Tony Clarke, as well as Nick and Flee Wilshaw, of Comminution '18 sponsor Grinding Solutions Ltd, and Dave Goldburn, formerly with SGS Minerals Services. SGS recently abandoned its UK operation in Cornwall, and Dave is now Operations Manager with Physical Separation '17 sponsor Holman-Wilfley. 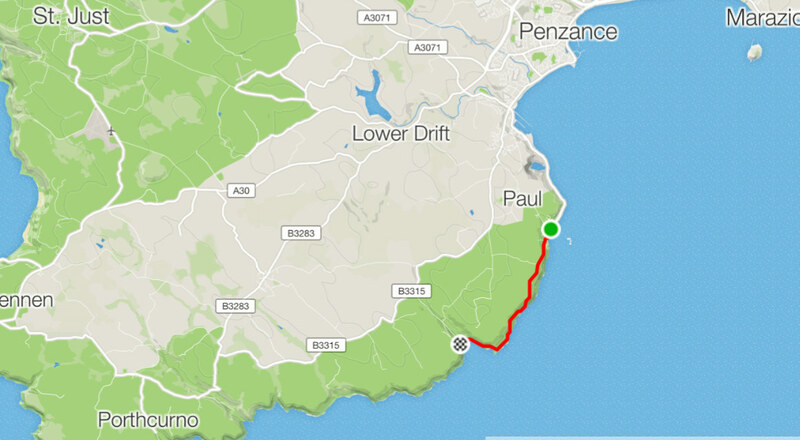 I look forward to seeing both Nick and Dave at Physical Separation '17 in 3 weeks time, when our usual first evening coastal path walk will this year end with drinks at the Quayside Inn, rather than our familiar Chain Locker. 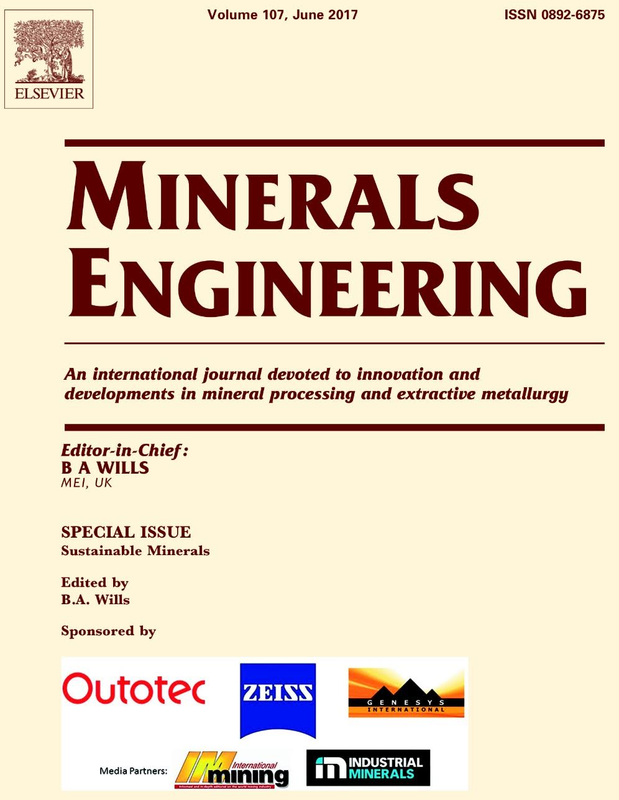 Volume 107 (June 2017) of Minerals Engineering is now available on ScienceDirect, and contains 14 selected papers from Sustainable Minerals '16, which was held in Falmouth, Cornwall last June, including a very timely and thought-provoking keynote paper by Prof. Robin Batterham on the mine of the future. The conference proceedings, containing all the unrefereed papers, is available on USB from MEI Online. Sustainable Minerals '18, MEI's 5th conference in the series, will be held in Windhoek, Namibia in June next year, back to back with Biohydromet '18. Flotation- it's a lot older than you think! In my posting of 10th April I commented on the fact that, although the 'invention' of flotation is often attributed to Francis Elmore in his patent of 1904, there was much interest prior to this, particularly in Australia, as there was a desperate need to develop a process which could be used to concentrate base metal ores, as gravity concentration was becoming impractical as the ores became leaner and more complex. Amongst the comments on the posting was a very interesting one from Dr. Martin Rudolph, of the Helmholtz Institute Freiberg for Resource Technology, Germany, who advised that the flotation process will in fact celebrate its 140th birthday on July 2nd this year! It was on that day in 1877 when August and Adolph Bessel patented the first flotation process related to the beneficiation of graphite from a mine in south east Germany, which is still in operation today, currently operated by Graphit Kropfmühl GmbH, part of AMG Mining AG. 18. Any mixtures and dissolutions of the bodies listed above. The mixture of the graphite with the chosen body is made as intimate as possible so that all parts of the former come into contact with it. The mixture is then poured into water and the latter is heated until vigorous boiling. During this cooking the flakes of the graphite are observed to rise within the liquid while the earthy substances (clays) remain on the ground. The graphite floating on top is drained off and dried. If the graphite is simply boiled with water without prior mixing with any of the substances mentioned, such separation does not take place, nor is this done by desliming. The operation proceeds preferably with the flaky varieties of graphite. Thanks for sharing this with us, Martin. 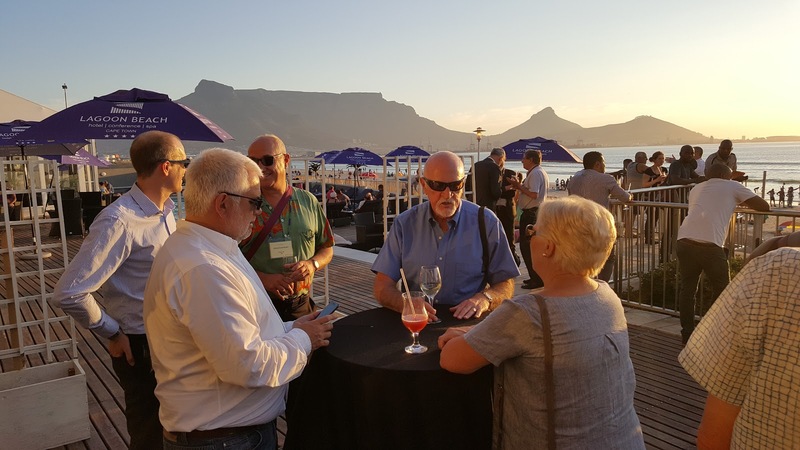 We look forward to seeing you and your team in Cape Town in November for Flotation '17, and hopefully your translation might lead to some interesting ideas on 'new' reagents! 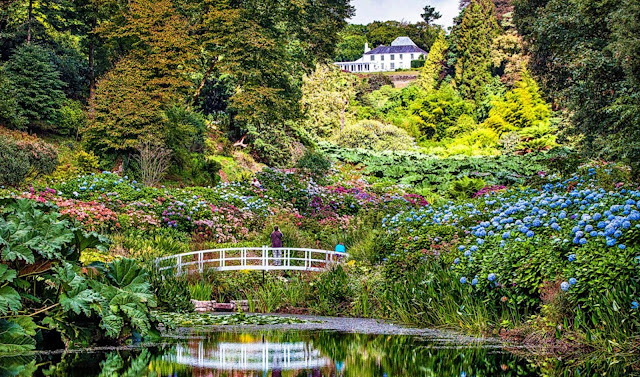 Trebah Gardens, on the Helford River, just outside Falmouth, is one of Cornwall's great gardens, and is rated in the top 80 gardens in the world. Unfortunately it was not at its very best yesterday, however, as it was unseasonably cold and wet, but Barbara and I took the 15 minute drive to catch up with Roger and Janet Thomas, and Rod and Kathy Whyte, who we had met up with just over a year ago in Cape Town to reminisce about our Zambian Copperbelt experiences (posting of 19th April 2016). The four of them are on a cruise around the British Isles, and this morning visited St. Michael's Mount in Marazion (posting of 18 October 2010), before being coached to Falmouth for their Trebah experience. No matter what the weather, the walk through the Garden, with its rhododendrons, magnolias and camellias, onto Trebah beach is spectacular, and the beach at the bottom of the garden is an idyllic spot on the Helford River. In 1944, the beach was used as an embarkation point for a regiment of 7,500 of the 29th US Infantry Division for the assault landing on Omaha beach, part of the D -Day Landings. As I pointed out to Roger and Janet, the weather in Cornwall is as capricious as that of Cape Town, and for their benefit, this is what they might have seen on the beach if the weather had been a little better! The Canadian Institute of Mining, Metallurgy and Petroleum awards the CIM Fellowship for outstanding continuous contributions to CIM and/or the mining, metallurgical and petroleum industries. Amongst this year's distinguished recipients is John Starkey, awarded for his "outstanding contribution to the mineral processing field". 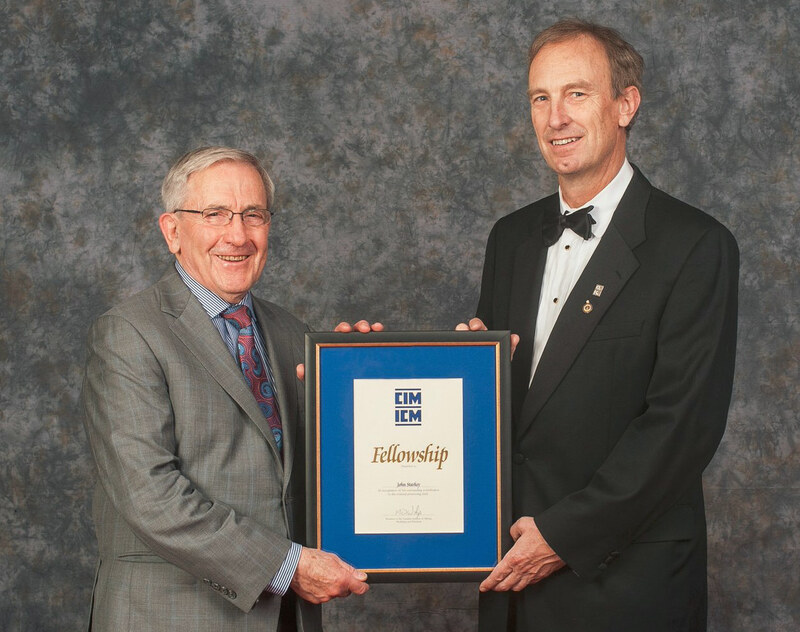 He also becomes a CSM Distinguished Lecturer, in recognition of his "remarkable contribution to comminution design and practice", and as such will speak at CIM Branch and Student Chapter meetings across Canada. John has presented incisive papers on SAG Mill Design at all MEI comminution conferences since 2012, and his company Starkey & Associates is a regular sponsor of these events. In conferences around the world he has presented thirty papers describing his work and progress in ore testing, and is a frequent lecturer globally at universities, teaching the fundamentals of AG/SAG grinding mill operation and design. John Starkey is a Mining Engineer from the University of Toronto, with 15 years experience in mines and process plants, 15 years in process design, and 27 years as a Licensed Consulting Engineer. His career includes work at Kam Kotia, Kidd Creek, and INCO mines and mills. He also worked at Kilborn for 12 years designing the Gays River, East Kemptville and Quintette process plants. He invented and co-developed the SPI and SAGDesign tests which are both widely used in industry today for the measurement of ore hardness for AG and SAG mill designs. His mission is to capture for clients the rich benefits of SAG milling technology, to help them find the most economical way to grind their ore.
On behalf of all of us at MEI, many congratulations John, and also to your wife Donna, who I am sure has contributed greatly to your success. We look forward to seeing you both in Cape Town for Comminution '18. We are pleased to announce that Process Mineralogy '18, the 5th in the series, will be held from November 19-21 next year. Originally intended to be held in Cancun, Mexico, and announced as such at Process Mineralogy '17, for various reasons this was not to be. 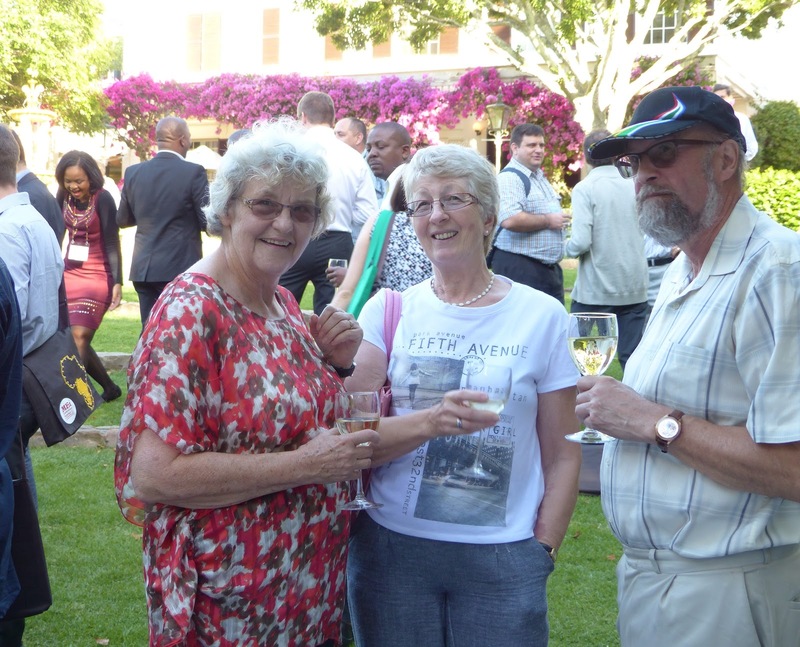 The conference will now be held in our familiar and truly excellent facilities at the Vineyard Hotel in Cape Town. We would like to welcome our first early sponsor, ZEISS, now a very regular sponsor of MEI Conferences, who is sponsoring the Process Mineralogy series for the 4th time. An added bonus next year will be a brand new 2-day conference which will immediately follow Process Mineralogy '18- more news of that in a week or so! Dr. Kate Tungpalan has impressed us at two recent MEI Conferences. At Process Mineralogy '14 she represented the University of Queensland’s JKMRC as a post-graduate student, presenting a paper relating mineralogical and textural characteristics to flotation behaviour. 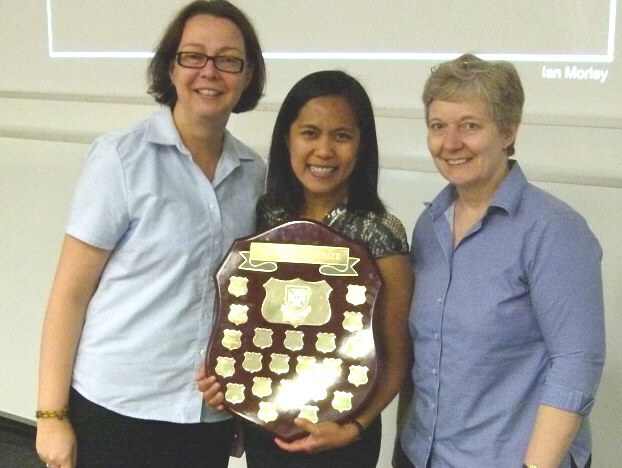 At this year's Process Mineralogy '17 she presented a paper on behalf of the University of the Philippines and was also awarded a prize for one of the best presentations. Kate Tungpalan, who is currently an assistant professor in the department of mining, metallurgical and materials engineering at the University of the Philippines, was born on 8 June in 1984, the eldest of three children, in Cagayan, a province in the northern Philippines. Both her parents are agriculturists, but her mother became a teacher. She was inspired to take up mineral processing as a career as she saw it as a challenge when she undertook plant practice at Philex Mines, Philippines. 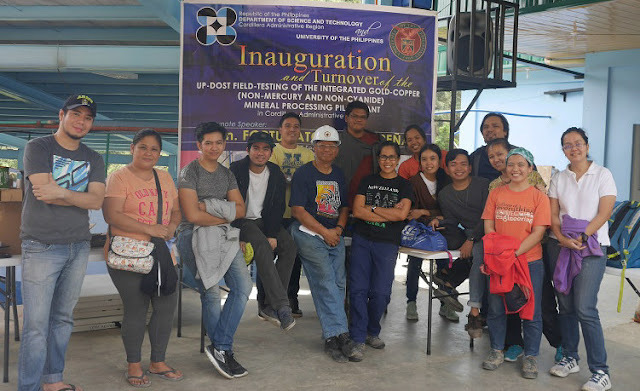 She says that the mining industry in the Philippines is dominated by men, and there were not many women pursuing mineral processing as a career, whether in operations, research or in academia. She was initially inspired by the environmental and social implications of mineral processing (or mining in general). 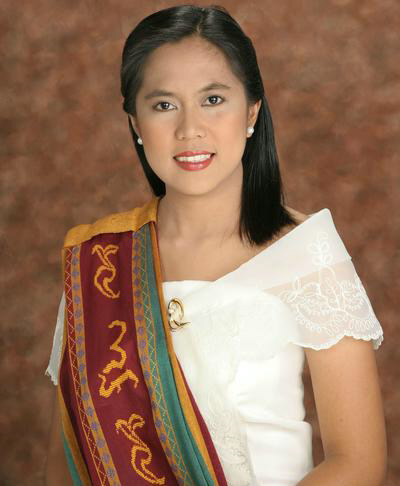 So on leaving school she studied Environmental Engineering at the University of the Philippines and in 2011 was awarded a Masters degree in Environmental Engineering for her research topic on dissolved air flotation for the removal of nickel particles in wastewater. Kate then took up "a great postgraduate offer" from the JKMRC in Australia. 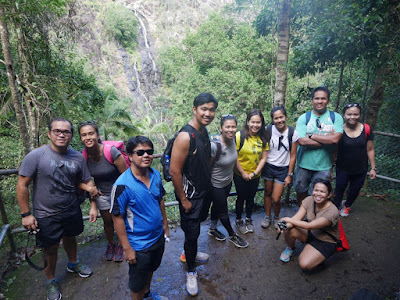 Prof Emmy Manlapig and his colleagues from The University of Queensland were looking for students to study the ore from Tampakan (an undeveloped copper porphyry deposit in the Philippines, at that time owned by Xstrata Copper). 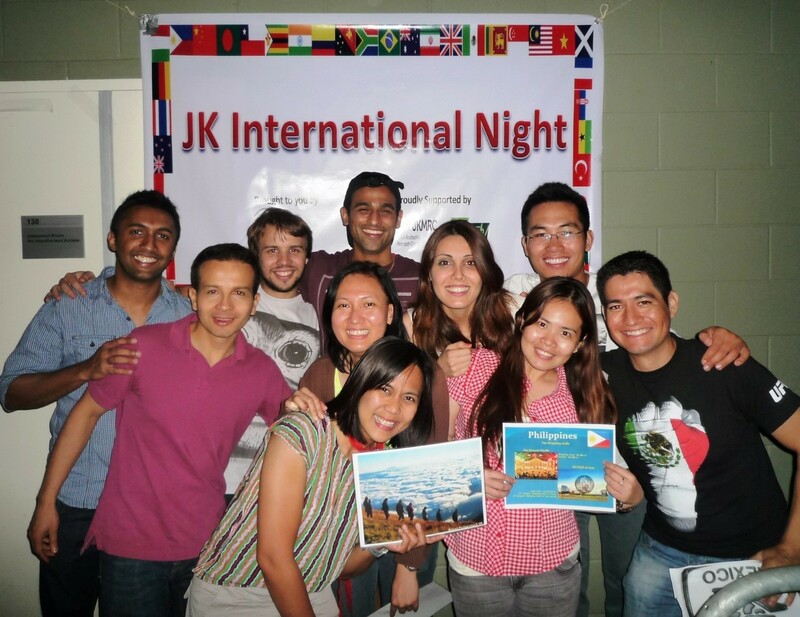 They came to the University of the Philippines during the time when Kate was finishing her Masters. Dr. Herman Mendoza introduced her to them, which led to Xstrata Copper funded her PhD research, and the Australia Awards Scholarships funding her living allowance in Australia. She carried out research under the supervision of Prof Emmy Manlapig, Dr Elaine Wightman and Dr Luke Keeney, investigating textural drivers for separation performance in a variable and complex ore, the subject of her presentation at Process Mineralogy ’14. She was awarded a PhD in 2016 and during her time at JKMRC was also awarded the Ian Morley Prize, which is awarded annually for the best all-round postgraduate student at the JKMRC. Apart from her PhD research, Prof Manlapig also involved her in different projects, one of which was a project at the Sustainable Minerals Institute of The University of Queensland called Designer Tailings. Kate says that she felt very fortunate to be involved as “it gave me the opportunity to work with researchers in different fields and I learned a lot about time management. And of course, it’s not just about work, I was involved in extra-curricular activities in the university such as organising and participating in student conferences and social events. There is an organisation of Filipino students in UQ and we made it a point to get together once in a while. In the long term she hopes to inspire more students to appreciate mineral processing and to take up the challenge of pursuing a career in mineral processing. She also hopes to continue to travel and enjoy nature. She loves nature, climbing/hiking mountains and enjoying the beach, and she is also a keen photographer and badminton player. She dreams of visiting the “must-see” places in the world and climbing the most beautiful mountains in the world. She says that she feels ashamed that she has travelled more in Australia, during her PhD, than in her own country, where “I hear foreigners have been to more places in Philippines than me!” So now her goal is to travel around the Philippines and to discover its beauty. “Although it is tiring, it is my goal to visit a place at least once a month”. We expect to hear much more of Kate, her travels and her career in future. Mousehole (pronounced Mouzel) is the quintessential Cornish fishing village, its picturesque harbour and narrow streets attracting hordes of summertime visitors. Situated on Cornwall's south coast, between Penzance and Land's End, it was sacked by the Spaniards in July 1595 when the entire village, apart from one house, was burnt to the ground. The short walk from the harbour, south to Lamorna Cove, is only 2.5 miles, but has a total elevation ascent of 450 ft, the first one and a half miles being very much up and down, involving a bit of scrambling up large granite boulders on a footpath which can be quite boggy due to the numerous small streams flowing down the cliff. However once through the Kemyel Crease woodland, it becomes much easier, and after two miles a climb to the Carn Du headland reveals a glorious view of Lamorna Cove. The world's most important scientific conference takes place this November in Cape Town? We welcome BASF, one of the world's leading chemical to Flotation '17. This is the first time that this international company has sponsored an MEI conference. This is also an opportune time to remind everyone that the deadline for submission of abstracts is the end of this month. More information on the conference can be found on the posting of 10th April.